Ammonites were called Ammon’s Stones, due to the resemblance to the rams horn of Ammon, the Egyptian God of life and procreation. 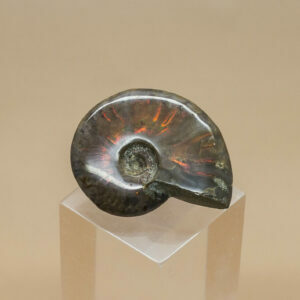 Use Ammonites to understand the spiral of life, getting to the core, the inner depth, great wisdom and understanding, the building blocks of life. Provides protection, stability and structure.